Quick! If you have photo albums in the attic, finish reading this post later and get those albums to a more stable environment, pronto! 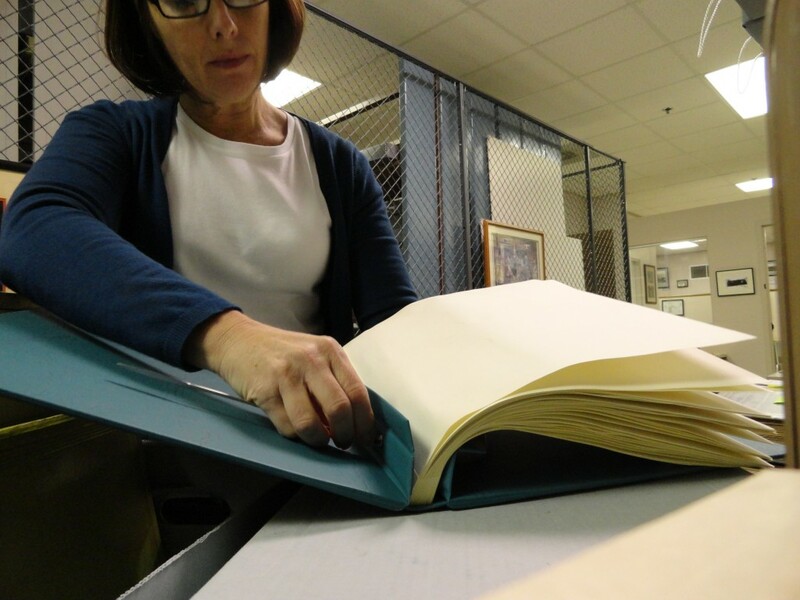 We have a new collection to process at the Kingsport Archives: The Altrusa Records. I’ve nicknamed it “The Sticky Collection.”Altrusa is an international service organization founded in 1917 in Nashville, Tennessee. Kingsport’s local chapter has been very active and kept excellent records, however, until recently they were being stored in the top floor of a downtown antique store that had poor, if any, air conditioning. The collection consists of two records center boxes of files and two boxes of scrapbooks. 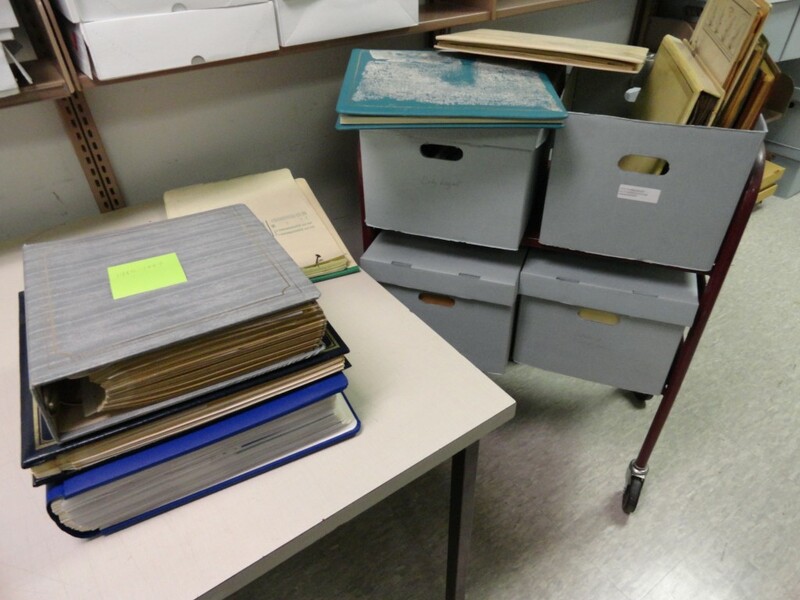 The Kingsport Altrusa chapter is relocating their records and decided to take this opportunity to place their older records with the archives for safekeeping. We commend them for their excellent decision. 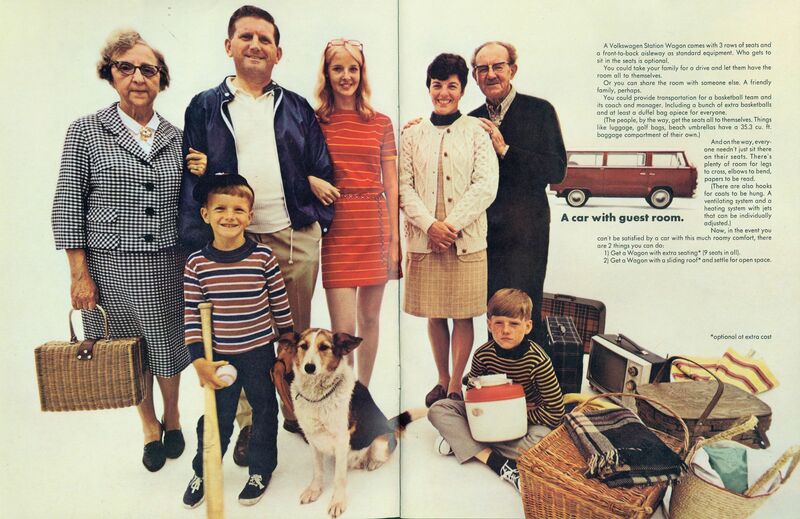 Any community organization, company, family, or school can start a collection with the archives! Unfortunately, for some of Altrusa’s scrapbooks, the move came a bit late. The vinyl covers have begun to degrade. 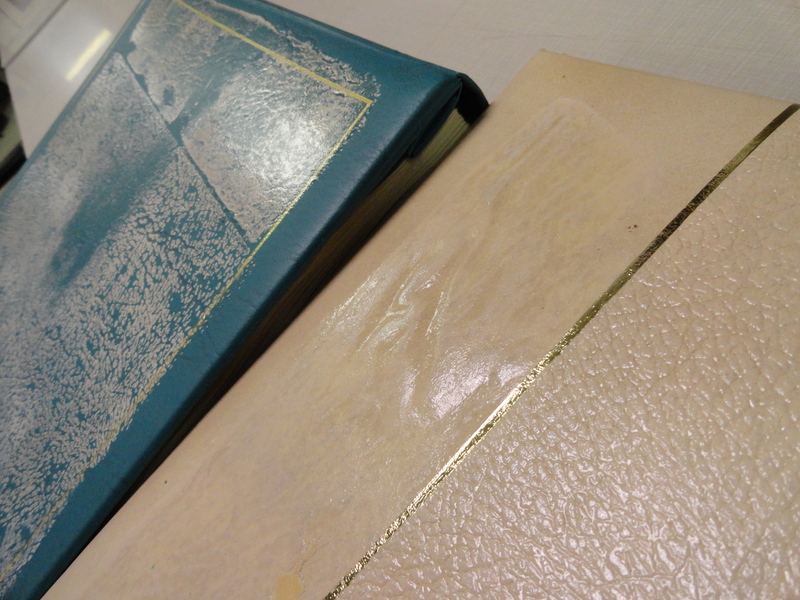 This is evident by the fumes that are being released and by the glue-like substance developing on the surface. The white particles on the teal album have transferred over from the white album. If you look closely, you can see the shiny “glue” forming on the white album. Several of the albums have become so sticky that they have adhered themselves to our boxes, to each other, and even to the work table. At one point, I braced my knee against the table to pry apart two albums. Brianne could here the sound of them separating all the way from her office around the corner! “What was THAT?” she shouted. I have a 3-part plan: remove, re-house, conserve. Using the microspatula to remove album hardware. Making new archival folders for individual albums. The last step, conservation, involves protecting photographs from adhesives and acidic materials, like newspapers, removing any rusted metals, and figuring out what to do with those “magnetic” pages that are really just painted with glue (yuck). For today’s post, I wanted to share with you a fun blast from the past that I found in the files. 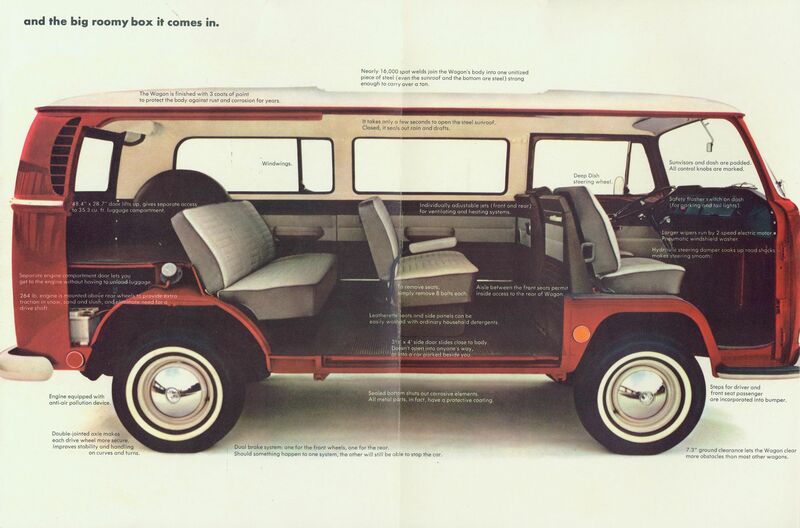 Following are a few favorite pages from a 1968 Volkswagon Van catalog. 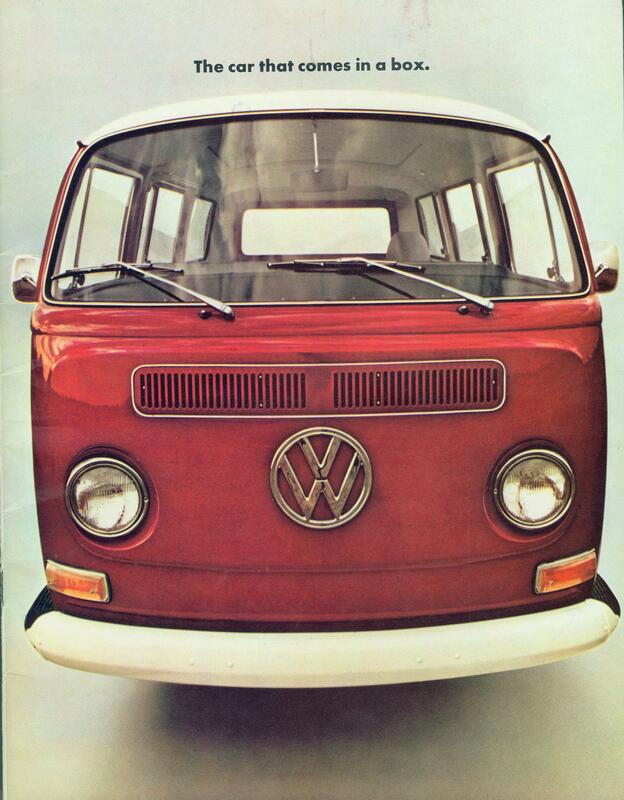 Owners and former owners of classic Volkswagons, rejoice! Surely the vehicle was not moving. By the way, Altrusa was providing the purchased van to Girls’ Club for their transportation needs. I look forward to learning about all of the good Altrusa has done in our area! 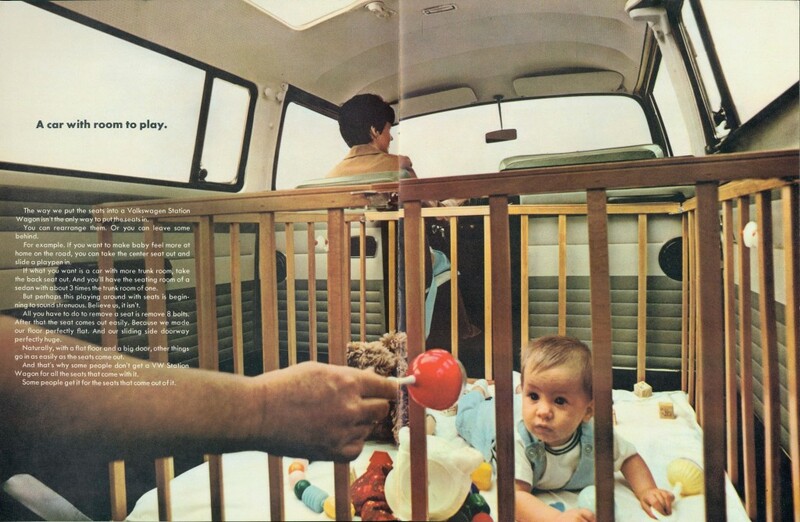 This entry was posted in Kingsport and tagged conservation, marketing, scrapbooks. Bookmark the permalink. to Grandma’s house in this. Kari, this is such important information. We are in the process of discussing the future and safe storage of the the Exchange Place albums and papers. It looks like those album covers were made of vinyl. Terrible stuff for preservation. Tune in next week. It gets worse!